Being your expert resource for products and product solutions has always been our goal here at Q Source. 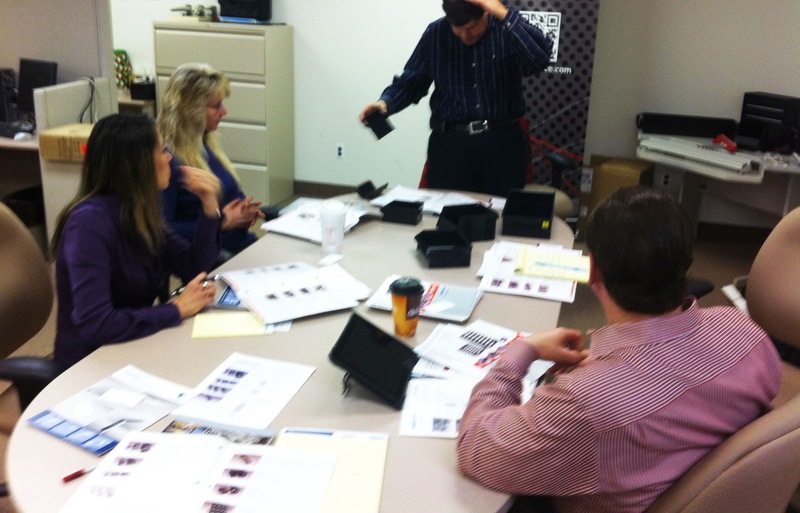 Our sales associates are continually attending training sessions to increase their product knowledge. 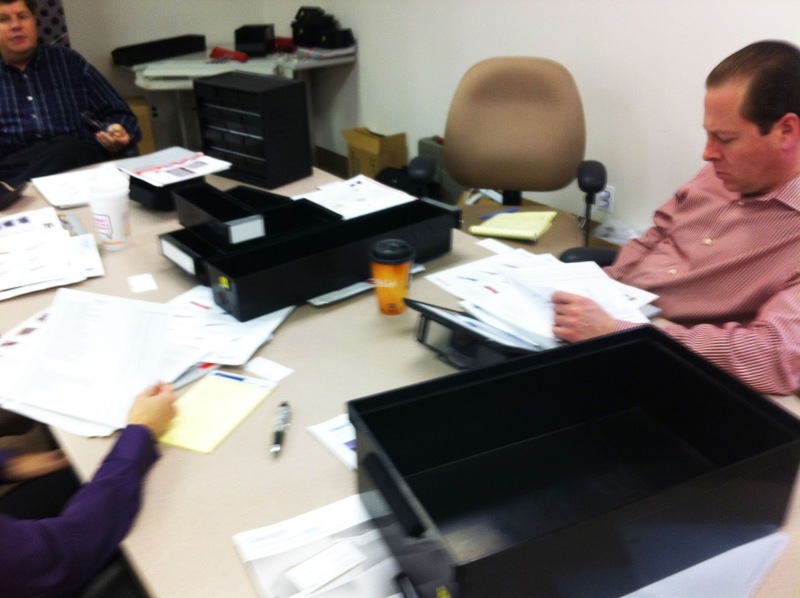 Recently, we were visited by Mark Florentine of Florentine & Associates, our rep for Sovella's Treston line of storage products and Sovella's workspace products. Florentine began the session by demonstrating Treston's ESD-safe Plastic Storage Bins. Made from either Polystyrene or Polypropylene, these high-quality bins are available in a variety of styles including: Stacking Bins, Shelf Bins, Picking Bins, IC Tube Storage Bins, and more. There are also accompanying ESD Storage Cabinets, Turntables, Spacemisers, and Trolley Systems available in a choice of sizes and configurations. Focusing on what makes Treston's ESD Storage Systems stand out, Florentine noted that the Shelf Bins and Stacking Bins feature a ribbed bottom for easily picking small parts, the entire line offers a greater variety of ESD products in ESD black with clearly labeled ESD Protected Area logos, a number of divider options with built-in label sections, recyclable Polypropylene models, and competitive pricing. Moving on, Florentine showed Sovella's cool new Magnetic Tool Holders. Available in a wide selection of styles, such as their Hex Bit Organizer, Wrench Holder, and Socket Holder, these impressive tool holders offer options for saving space by storing tools on any metal surface (including steel shelves, metal tool cabinets, drawers, and Sovella's Perforated Panels). He also mentioned that these tool holders are really limitless in their uses because they will hold just about anything that fits in their grip. 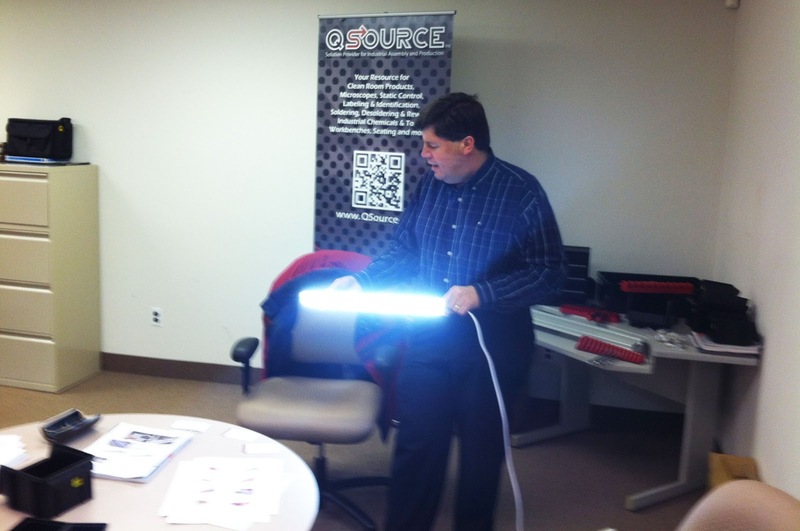 Finally, the training session finished up with a look at Sovella's new, high-efficiency LED Integrated Tube Lights. Florentine demonstrated the power and versatility of these ergonomic lighting solutions by pointing out the unlimited ways these lights can be mounted (magnetic, brackets, etc. ), the ability to string up to eight lights together in one series, and the 6,000-6,500 Kelvin light color. We'll be posting more in-depth articles and videos regarding these items in the very near future. All of the aforementioned product solutions from Treston/Sovella are available, or will be available soon, at QSource.com. For further information, or for help placing an order, please contact us at 800-966-6020 or via email.